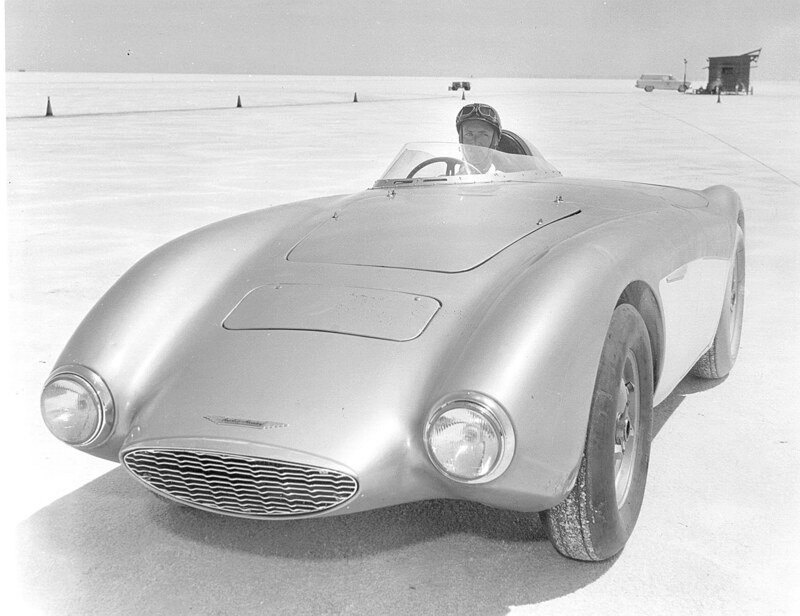 In 1956 an unusual caravan of vehicle trailers arrived at the Bonneville Salt Flats. 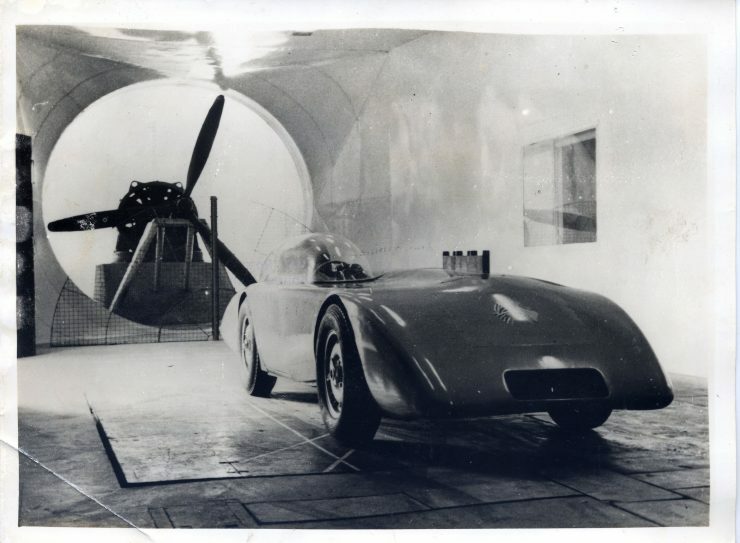 They carried a couple of land speed cars from England that must have looked like crash-landed alien spacecraft to the casual observer. 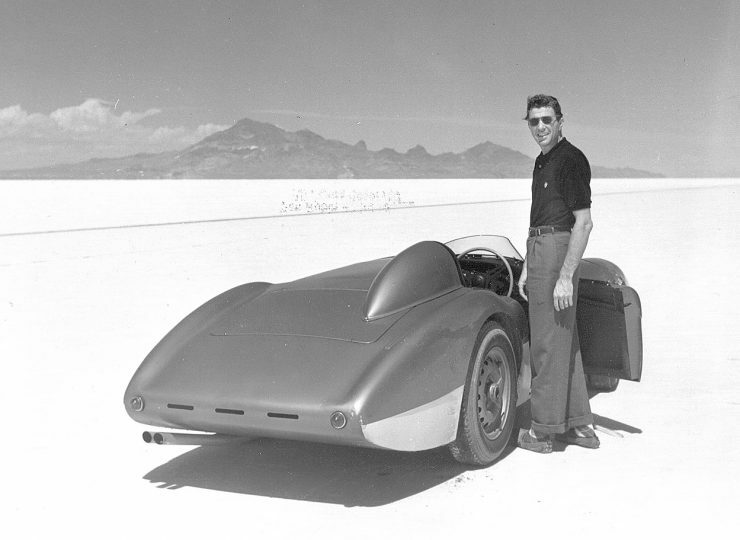 The two cars on the trailers were one-off designs that had been built specifically for Bonneville a couple of years before in 1954. 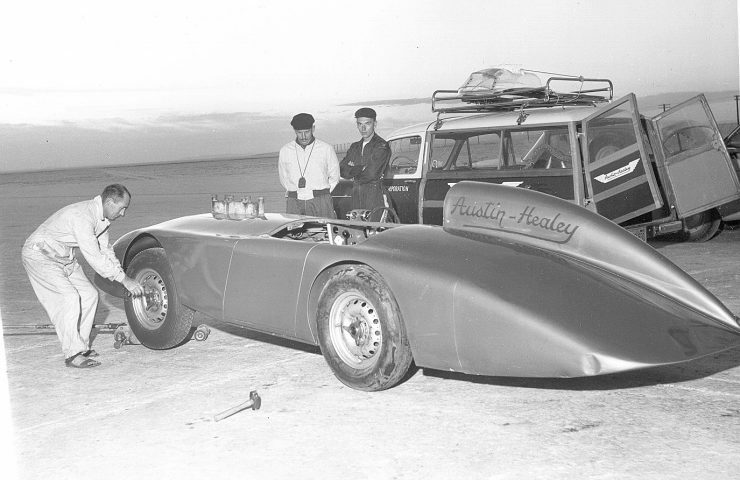 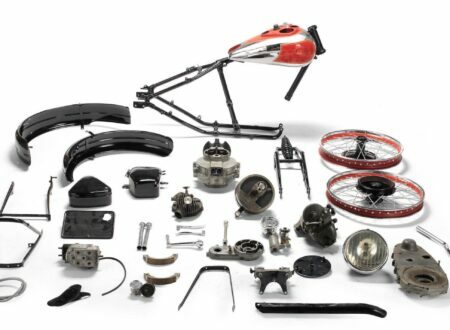 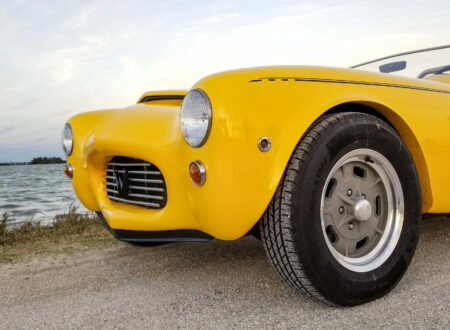 There was a heavily customized Austin-Healey 100/6 that had been supercharged to within an inch of its life for Donald Healey himself to drive to speeds in excess of 200 mph. And a second car with streamlined bodywork by Jensen that was fitted with a highly tuned, naturally aspirated engine that would be driven by Carroll Shelby and Roy Jackson-Moore to challenge a range of Class D speed and endurance records. 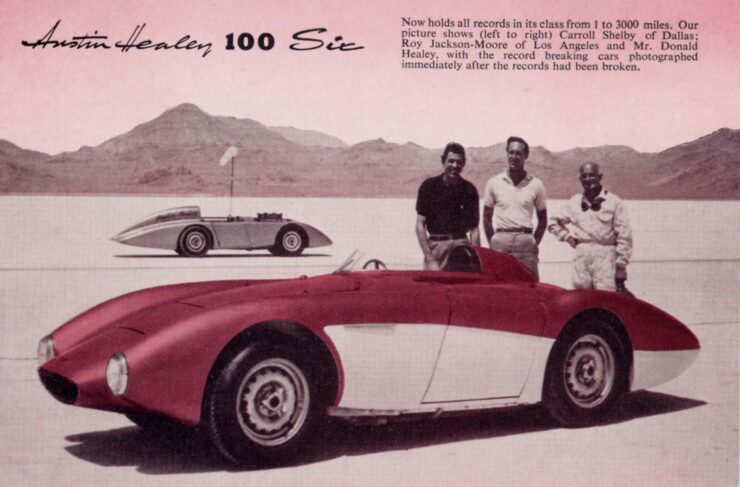 Donald Healey went first. 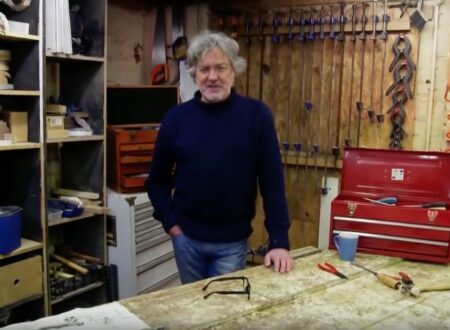 As a former racing driver it had been his life-long goal to drive a car of his own design to speeds in excess of 200 mph. He’d tried a couple of years earlier in 1954 but engine failure had spoiled the party. 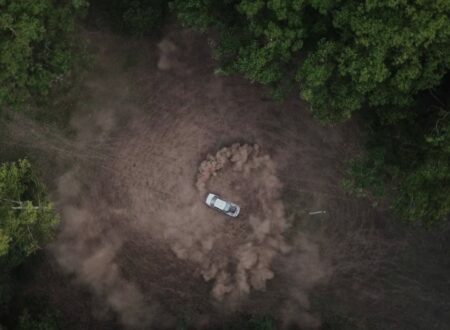 This film runs at just over 17 minutes in length, and it shows both cars in action, with some remarkable aerial shots thrown in for good measure. 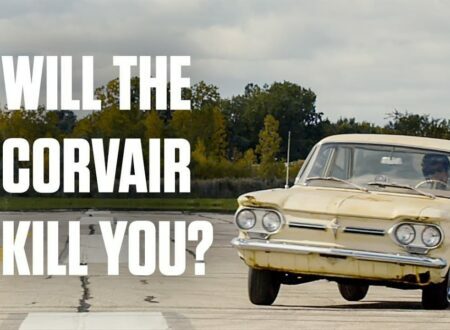 I’m not going to spoil it by telling you here whether they succeeded or not, but I do recommend that you fix yourself a good coffee and hit play on the film.